“Do you know why the engagement ring is worn on the left ring finger?” asks my tour guide at the Cape Town Diamond Museum. 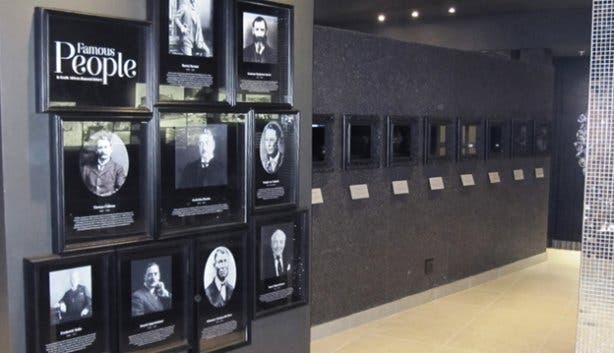 This is just one of the many interesting anecdotes that visitors will be regaled with at the Cape Town Diamond Museum. Situated in the Clock Tower Precinct at the year-round hotspot, the V&A Waterfront, the establishment is the only one of its kind in South Africa. 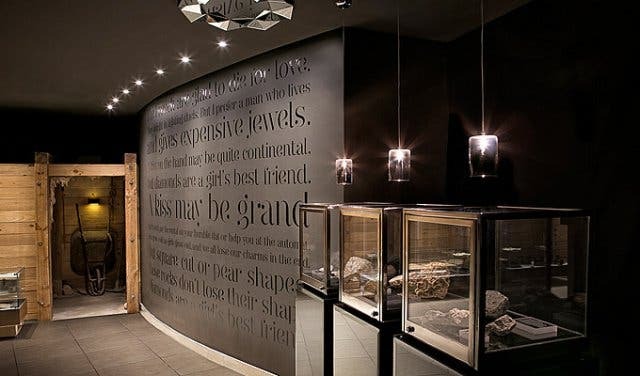 The Cape Town Diamond Museum, a gift from acclaimed jeweller Shimansky to the Mother City, is a non-profit organisation dedicated to creating a new appreciation for diamonds. 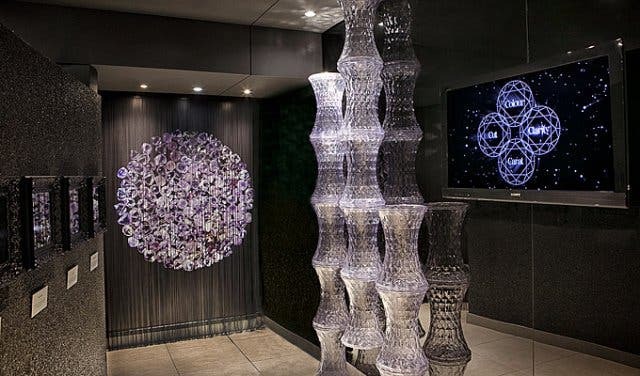 And it’s in this quaint establishment that visitors get a visual and informative overview of the incredible history of the world’s most precious stone: the diamond. “Diamonds through the ages” visual timeline reveals some of the key moments in the history of the coveted crystallised carbon creation: from its formation in 3.3 billion BC and the first diamond sighting in India in 2500 BC to the discovery of the first gem in South Africa, which was made in 1867 by 15-year-old Erasmus Stephanus Jacobs, who unearthed the diamond on the south bank of the Orange River. 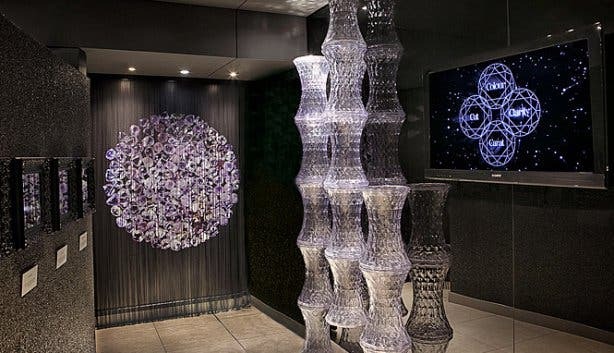 Opposite the visual representation are three vitrines that house examples of rocks related to diamonds: there’s kimberlite, in which diamonds are usually found, and pyrope, which is commonly situated near diamond-bearing rock. Other interesting examples include peridotite (the oldest substance known to man) and desert roses (crystals from the Namib Desert). 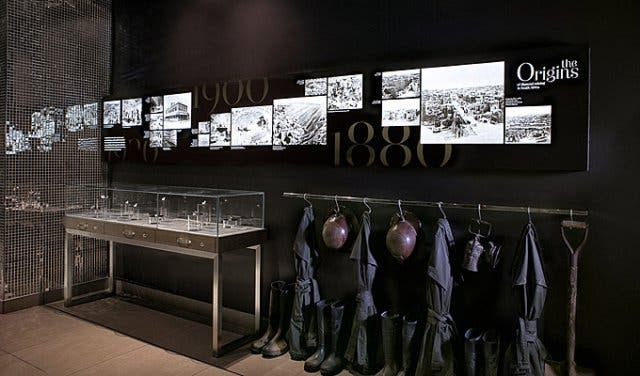 A small turn around the corner in the middle of the museum reveals the history of diamonds in South Africa - think textbook-like images of the bustling diamond industry in 1870s Kimberley. 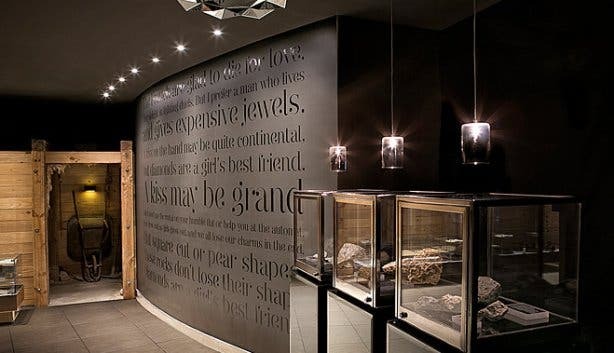 But the most dazzling display in the museum is a wall dedicated to showcasing life-sized replicas of the world’s most famous diamonds. There’s the Hope Diamond (reportedly the most valuable stone in the world, apparently worth more than a quarter of a billion US dollars), The Taylor-Burton (the serious bling that actor Richard Burton famously gifted Elizabeth Taylor), and, of course, the Cullinan, the largest rough diamond crystal ever found. 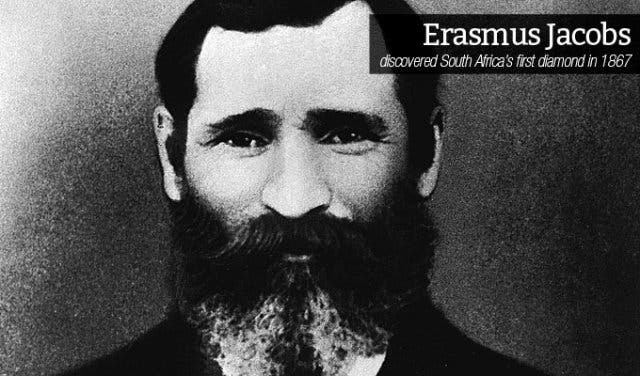 Other fascinating presentations include an installation detailing how rough diamonds are transformed into creations of fire and light and a display of historical mining artefacts, such as lamps, sifting pans and even a miner’s lunchbox and mug. 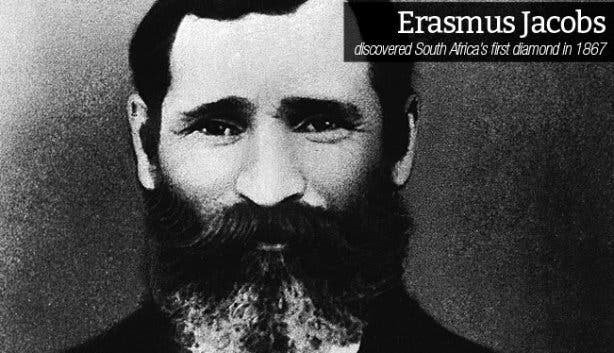 The museum is an accredited and affiliated member of Cape Tourism, having achieved the required criteria for membership and offering quality service and a remarkable visitor experience. Read more to find out what you should know about buying diamonds and tanzanite in South Africa.